Feeling burnt out or overwhelmed from a hectic day at work? We’ve all been there. Sometimes those feelings can be especially hard to shake, even when we’re at home. Well known for its relaxing effects, lavender oil is the must-have essential oil to use in your diffuser when you want to relax. Great on its own, the floral herbaceous scent and sweet woodsy notes of lavender oil also mix well with lots of other scents making it perfect to add to almost any essential oil diffuser blend. So if you’re having trouble unwinding after a long work day (or week), try these three relaxing lavender oil blends help you get into a “Saturday state of mind” any day of the week. Why you’ll love it: This lavender oil blend can help salvage an evening when you’ve had a really bad day and are feeling ultra-grumpy. Frankincense is often used in aromatherapy to help uplift the spirits and help balance emotions. It has a rich warm, slightly spicy scent with sweet woodsy undertones. When lavender oil and frankincense combine forces, the resulting aroma feels pleasantly soothing and harmonious. What it’s good for: Do you enjoy creative activities like writing, playing music, painting or crafting? Science is on your side! Studies have shown that creative expression can help reduce anxiety, stress and mood disturbances. 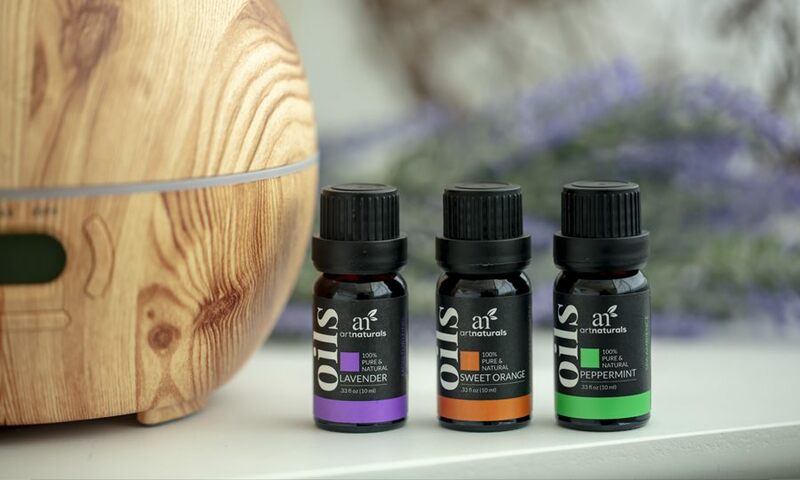 Diffusing lavender oil while you get creative is a relaxation double whammy. To really up your aromatherapy game, add sweet orange and peppermint essential oil. Citrus essential oils, like sweet orange oil, is often used by aromatherapy practitioners to boost creativity by helping to create a joyful, uplifting atmosphere. Refreshing peppermint essential oil helps you feel more alert to stay focused on your project. When to use it: This is the perfect relaxing lavender oil blend for reading or watching TV. As the lavender oil helps soothe, the bright uplifting properties of bergamot promotes emotional balance. While soothing in and of itself, rosemary essential oil also helps boost mental clarity and feels mentally and emotionally refreshing so you never miss a plot twist. Lavender and rosemary both have herbaceous woodsy scents, lavender oil adding a floral note and rosemary oil adding minty notes. Bergamot’s clean refreshing citrus scent has slightly sweet floral and fruity tones that mix well with the rosemary and lavender oil aromas. 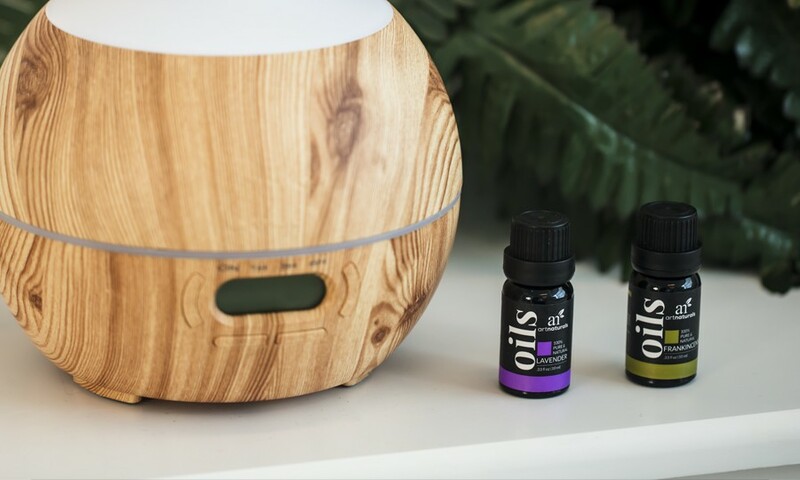 Diffusing essential oils is a great way to help create a space that helps you let go of tension and relax. 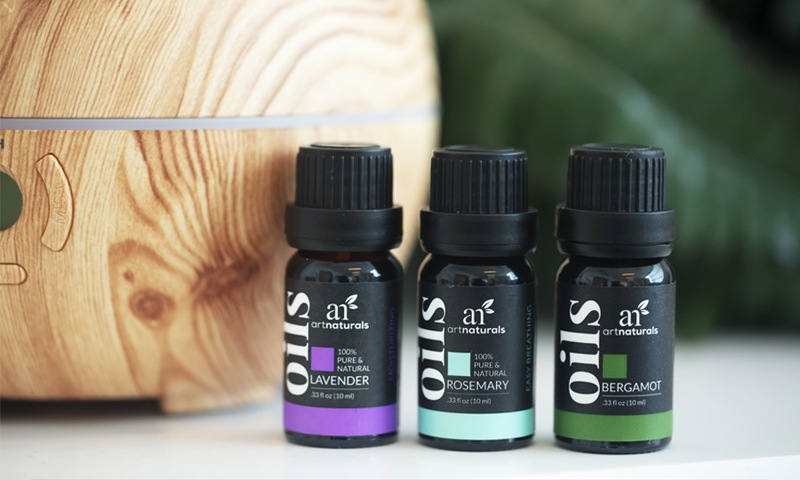 You can even customize your experience with several essential oils that smell fantastic, blend with lavender oil, and bring their own benefits to the table. 1. Lavender oil is the go-to essential oil for relaxation. 2. Frankincense & bergamot add uplifting feelings for emotional balance. 3. Orange citrus oils, like tangerine add an element of joy. 4. Rosemary & peppermint help clear the mind for focus.